New York, NY: Sergey Kovalev continues his rise back to the top of the light heavyweight division when he returns to the Mecca of Boxing on Saturday, March 3rd to defend the WBO Light Heavyweight World Title versus southpaw Igor Mikhalkin, originally of Irkutsk, Russia, now fighting out of Hamburg, Germany. 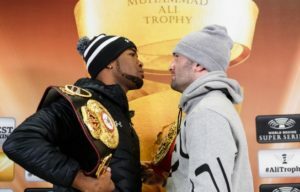 A skilled boxer, Mikhalkin puts his ten-bout winning streak on the line as he steps up to challenge one of the most fearsome punchers in professional boxing at New York City’s Theater at Madison Square Garden. In the co-main event, newly minted WBA World Light Heavyweight Champion Dmitry Bivol of Russia makes his second defense of the title against Cuba’s streaking Sullivan Barrera, the mandatory challenger. 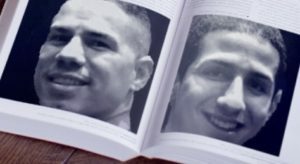 Viewed as a “toss-up” bout by boxing insiders, Bivol-Barrera matches a young, explosive champion against an experienced veteran hungry for his first world title fight. Presented by Main Events, Krusher Promotions and World of Boxing in association with EC Box Promotions, the doubleheader will be televised live on HBO World Championship Boxing®. Ticket information will be announced shortly. Last month, the Big Apple welcomed Kovalev (31-2-1, 27 KOs), the two-time light heavyweight world champion, with open arms as he made his New York debut with a stoppage of Vyacheslav Shabranskyy in the second round to reclaim his WBO Light Heavyweight World Title at the Theater at Madison Square Garden. Eager to return to the ring and to his new home, “Krusher” thrilled his large following of Russian fans last month and he expects an even bigger contingent to greet him in March. As he sits comfortably atop the light heavyweight rankings and in the top five pound-for-pound, Sergey’s goal is to put on a great show for the fans in attendance and watching on HBO. Mikhalkin (21-1, 9 KOs), 32, a southpaw originally from Irkutsk, Russia, now resides in Hamburg, Germany. 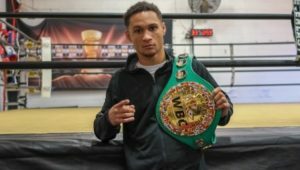 He made his professional debut in 2007 with a second-round stoppage against Stefan Stanko and went on to win his first 11 bouts with seven of those wins coming by way of knockout. The lone blemish on Mikhalin’s record is a unanimous decision loss to former WBO Light Heavyweight Title contender Aleksy Kuziemski in 2010. In the eight years since, Igor amassed several belts: the IBO Light Heavyweight World Title, EBU Light Heavyweight Title and the WBO Intercontinental Light Heavyweight Title. Mikhalkin will be making his US debut against Kovalev on March 3. In the co-main event, the young champion, Dmitry Bivol (12-0, 10 KOs), makes his New York debut and fights in the United States and on HBO for the second time. Sullivan Barrera (21-1, 14 KOs), who has become a fixture on HBO, returns to The Garden for his first world title fight. Both men were very focused on making this fight and facing each other. Some boxing commentators believe this matchup could be the fight of the night. “This is not the first time that I am training for the most important fight of my career, and this motivates me and makes me happy! Sullivan Barrera is what we wanted and I am glad that we will meet in the ring soon,” explained WBA Light Heavyweight World Champion, Dmitry Bivol. About Kovalev-Mikhalkin: The Saturday, March 3 main event between Sergey “Krusher” Kovalev and Igor Mikhalkin is a 12-round match-up for the WBO Light Heavyweight World Title at the Theater at Madison Square Garden in New York City. The co-main event features WBA Light Heavyweight World Champion Dmitry Bivol versus Sullivan Barrera in a 12-round title fight. The event is promoted by Main Events, Krusher Promotions and World of Boxing in association with EC Box Promotions and will be televised live on HBO World Championship Boxing®. Ticket information will be available shortly.